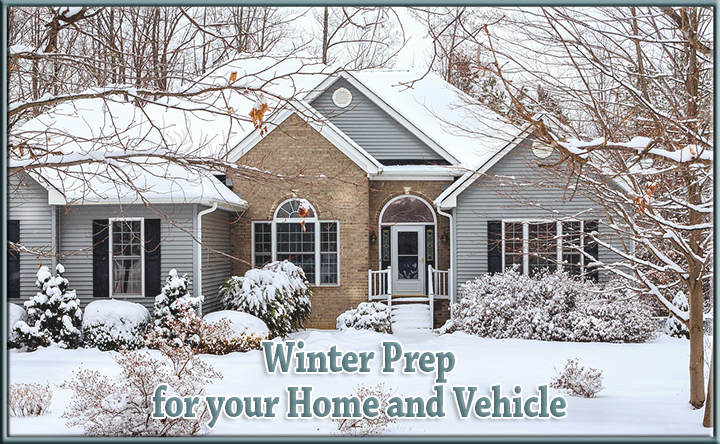 Winter Prep for your Home and Vehicle - Scarsdale Premier Insurance Agency | Advocate Brokerage Corp.
With the temperature dipping and winter approaching, it’s only a matter of time before you walk outside to snow and ice! December is here and winter is coming so we wanted to share Advocate’s top tips for getting your home and vehicle ready for the cold winter months! Stock-up on ice melt and salt – Prepare now to reduce ice on walkways. Check weather stripping around windows and doors – If there are cracks or gaps in weather stripping you’ll want to replace it so that heat isn’t escaping over the winter. Reverse your ceiling fans – Did you know this can help to disperse heat during the winter? Especially in rooms that feature high ceilings. Ensure everyone in the house knows how to shut off main water valves – 23% off all homeowner property losses are from water damage. Acting quickly can help to reduce damage. Take all steps to prevent Ice Dams – Click here to read more on our ice dam blog. Switch to winter tires & have tire pressure checked – Cold weather can decrease the level of air pressure in your tires, so you may need to add more. Install winter wiper blades & check windshield washer fluid levels – A winter wiper blades can help to prevent ice build-up. As your insurance Advocate, we want to help you be prepared so you can relax and enjoy life! Take advantage of these tips to make sure that you are ready for winter. If you have any questions regarding your home or vehicle coverage, please give us a call.